The repo rate in South Africa has been slashed by 25bps from 6.75% to 6.5%. Typically, a decrease in interest rates causes house price growth, so it is great news for the property market. It is less than delightful news for those with savings though, who will see a much lower return. Since the rand has appreciated relevant to the pound (GBP) currently 16.88 ZAR :1 GBP (22.05.18) it may be a good time to consider diversifying a property investment portfolio to include overseas property while the rand is strong. If investors keep their savings in a South African bank account, they will be achieving a lower risk adjusted return on their money. With the backdrop of the land expropriation issue, there is more uncertainty than is priced in now with the positive Cyril effect. One potential option may be UK retirement home investments. The UK’s population is ageing and by 2045 it is predicted that one quarter will be ages 65 or over. They’re a wealthy generation too, owning £1.23trillion in unmortgaged housing wealth (according to research conducted by Knight Frank). This means that there is a large pool of people who can potentially occupy and afford luxury retirement suites (one of the strongest performing asset classes in the UK). When choosing any investment, it is understandable that those with savings will be extremely attentive. If you’ve worked hard all your life and have managed to save a little money, you don’t want to pour it into something that might not meet your financial objectives. Fortunately, if you consider the advice below with regards to investing in luxury retirement, you can minimise risks. Firstly, you will need to evaluate the demand for the property type you are purchasing in that area. There would be little point in buying a student property in the middle of the countryside away from all universities, or in a town where the local university is able to cater for most students. Similarly, with retirement property older people tend to move away from cities and settle in quieter villages in the countryside or by the sea, so it makes sense to look for retirement complexes that are situated in these areas. Our UK retirement home investments are often situated in seaside towns in the south west, or in the countryside such as the Lake District area. In an area where an existing retirement village is located, one in four people are over the age of 65. Following on from point number one you’ve now chosen an investment in an area with high demand. The key is to uncover areas with a limited supply. Ideally, you would want to identify the demand in an area before other people have discovered it. Sometimes it is not always feasible to seek out undiscovered areas in the UK. If it is the case that you invest in a city with lots of competition, you should choose a property that has a unique appeal. This could be the additional onsite amenities, the build quality, the historical aspect of the building or location. “Often our retirement home investment opportunities are refurbishments of Grade II listed buildings, and their historical heritage really appeals to the elderly generation. Our investments also include luxury amenities such as spa and beauty treatment centres, cinema rooms and fine dining experiences”. Says investment director at One Touch Property. Once you have done your due diligence and have selected an investment in an area where there is an undersupply, it is time to start considering the longevity of the investment. You don’t want to pick an investment with a limited market. For example, you may choose to invest in a retirement home in Spain which accommodates British expats, but Brexit may affect the number of British people choosing to live in Spain which would dramatically affect the income you receive. Therefore, if you are looking to invest for long-term income, it is also better to think long term. 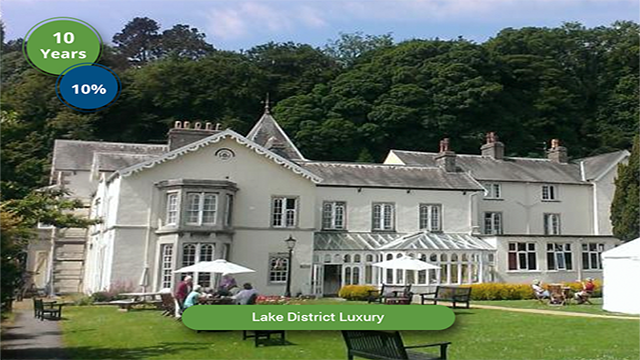 One investment option is Abbot Hall, situated in the UK’s Lake District. Abbot Hall is a former hotel that will be transformed into a luxury lifestyle retreat consisting of 50 suites and lodges for both long and short-term residents. The rooms will have magnificent views of the mountains and the sea. For those who do not wish to explore the Lake District, onsite facilities will include a spa, fine dining and a private cinema room. The county of Cumbria in which it is based has a “super-ageing” population where by 2020 a quarter will be aged 65 or over, ensuring good demand for units. The benefits of investing in retirement homes in the UK is that Britain has an ageing population and for the foreseeable future it is only going to get older. Last year the average age in Britain increased to 40, and as mentioned earlier, over 65s are predicted to account for a quarter of the population by 2045. Coupled with the fact that the generation which is entering retirement is in the best position to afford luxury retirement, the fundamentals are solid which means excellent yields can be achieved. As people are abandoning South African bonds in large swathes not seen for 18 years, there is the possibility that the economy and currency could weaken further. This would have a negative impact on those with savings, and it would limit their ability to salvage them by investing elsewhere as it would get more difficult and costly. With little hope for improvement in the immediate future, isn’t it time you considered investing overseas now? 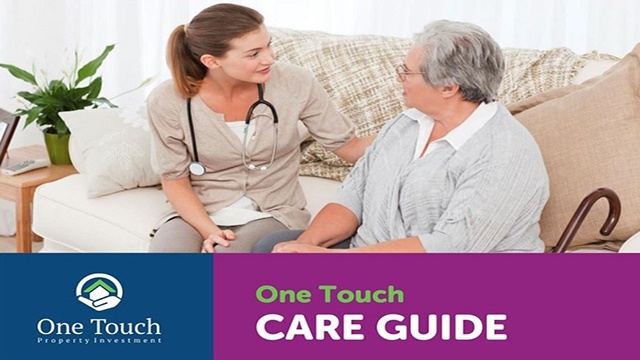 Contact One Touch Property today to learn more about UK retirement home investments and receive more UK property investment advice. Or download our retirement home guide to learn more about this asset class. This post and content is sponsored, written and provided by One Touch Property Investment.